For those staying at Gaingc View Holiday Park in Towyn this May, why not get active and take part in the popular Prestatyn Walking Festival, Friday 17th to Sunday 19th May. This year it’s the 9th annual Walking festival and it also coincides with the ‘Grand Opening’ of the New Wales coast path which is 870 miles in length and places such as Prestatyn and Meliden are excellent places for walking as they are scenic and have great views for walking enthusiasts. Going on holiday in Rhyl is a great way to spend some time as we move over to spring and summer time. Situated on the exceptional North Wales coast, the town welcomes many visitors that want to enjoy a relaxing holiday, with the opportunities to check out some fantastic attractions and some of the surrounding towns. Rhyl is also within close distance of other North Wales holiday coastal spots and the town is easily accessible via train, car and bus. A big heart day at Brickfields Pond is the perfect event for all of the family to get involved in to celebrate being healthy in the great outdoors. Located upon the Brickfields Pond in Rhyl, the free event will consist of some easy and enjoyable walks, small workshops where you can make things out of recycled materials and witness the unveiling of the new panel! The Welsh Group originated as the South Wales Group in 1948, before becoming a fully functioning and professional group in 1975. The group aims to promote and exhibit art of Welsh artists, along with those who are living and plying their trade within the Wales region. The first ever North Wales Charity Dragon Boat Festival is coming to Rhyl on Sunday 9th September 2012. This interesting form of boat racing is on its way and anyone can be a part of it! In the Marine Lake, Rhyl, groups of 14-20 people will face off in a series of timed competitive races throughout the day and at the end, the best teams will face each other in the Grand Final. This grand final is an all out race using all the dragon boats available in a spectacular fashion, and the winners will be given the title of Dragon Boat Champions of North Wales 2012. Gaingc View is an exclusive, small quiet holiday park with lovely landscaped grounds and is much thought of by all its long standing caravan owners. There is good vehicle access & plenty of parking as well as spacious gardens for each plot. 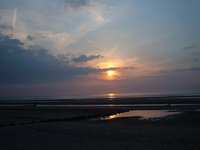 Located close to the seaside resorts of Rhyl, Towyn & Llandudno in North Wales.